If you are trying to identify a font, have a cool font you found, or a cool font related website, post it here! If you are trying to identify a font, a good place to try first is http://www.whatthefont.com . I was actually going to put that. a freeware font that is close to that would be Archery Rounded. SF Archery is very close to it, and is probably the closest font found for it. Killer, all I have is what came with Adobe CS...I'll check out those free sites. I know it was used for Mission: Impossible 2, and I've seen it's now being used in some of the promotional material for Fantastic 4. I've also seen it used in other various places. I knew the name of it at one point, but now I can't remember it for the life of me. I promise I'll write it down this time. Does anyone know what type of font is this ? Pretty much any font you see for a pro-teams wordmark, 99 times out of 100, its a custom font. What font is this? Thanks you. any ideas what font this could be? Anyone know what this font is? Thanks. Brody Script is very close to that one. 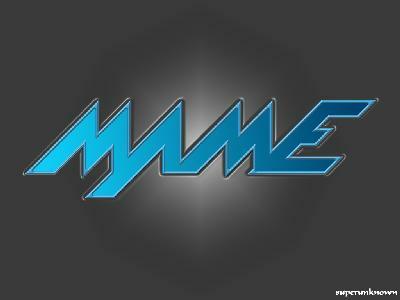 Don't know the "MAME" one though. So whats the madden font jp? For this year? Not sure yet. For the past 5 years it's been Aurora. With a little bit of Bank Gothic thrown in.